This all new distributor is spec’d by MSD engineers and is built around a new cast aluminum housing and includes a powerful ignition module, coil and high quality cap and rotor. One of the most important tuning features of a distributor is the centrifugal advance. The Street Fire HEI Distributor features an advance assembly that features welded weight pins and coated weights to ensure smooth movement and accurate timing. Included 4-pin Module. 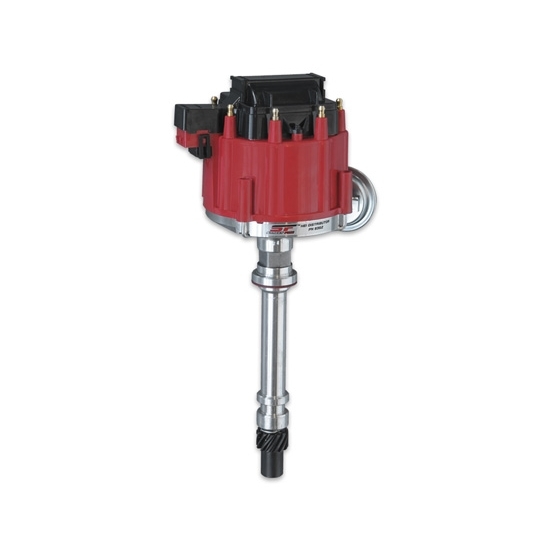 Looking for an easy performance upgrade to your ignition system? MSD's line of Ignition Control Boxes offer extreme improvements to drivability and high rpm applications. Here's a look at the differences between the 6 series line-up. Speedway Motors has some great tips on how to get the best performance out of your ignition system. Let's take a look at the the GM HEI style distributor, possibly one of the most affordable performance distributors today. Speedway Tech Zach discusses the Pertronix Ignitor III conversion in his '55 Chevy. A quick rundown on how to set initial timing on the Small Block Chevy 350 and the Ford 302.